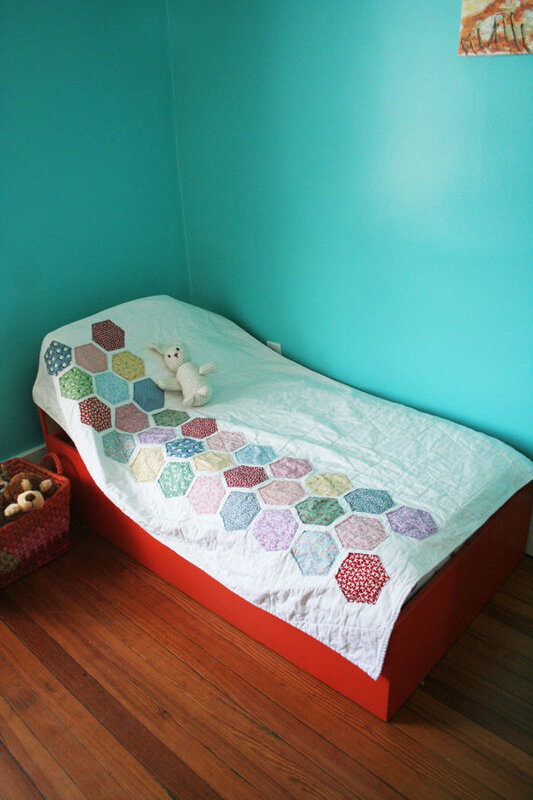 SO I have made one quilt. And they an’t an overly quick or easy project. At least not for me, I think it’s all the measuring and cutting that really gets me (and my lower back!) slowed down. I am currently working on my second quilt and will post photos when it’s completed. Hopefully before the new year begins, but no promises people! I was looking for some inspiration for future projects, gifts, etc. and not loving what was already on Pinterest. 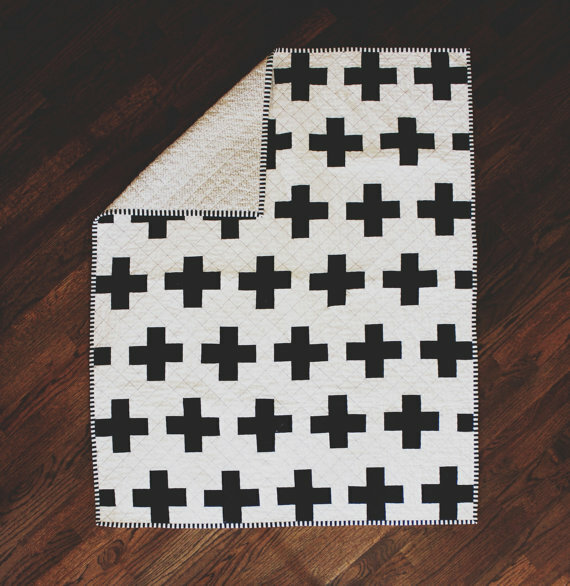 So I turned to Etsy and found these quilts that I really love. 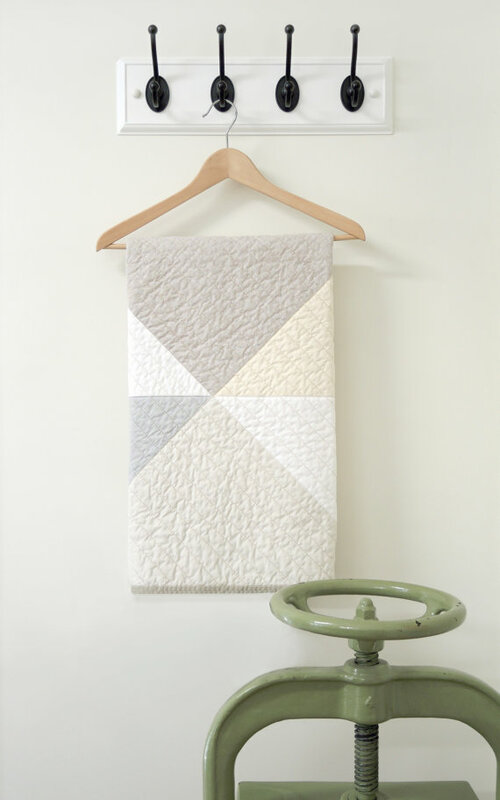 Which pattern is your favorite? Sound off in the comments section below! 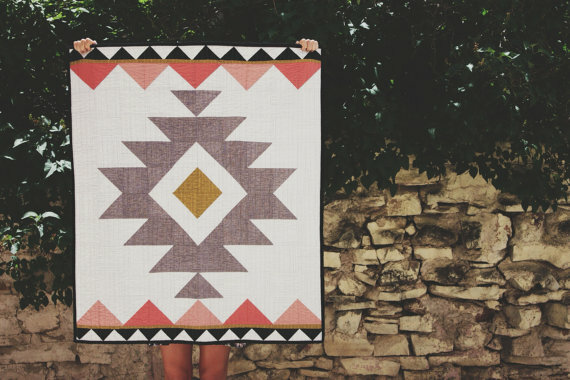 This tribal inspired quilt found on Etsy, here. 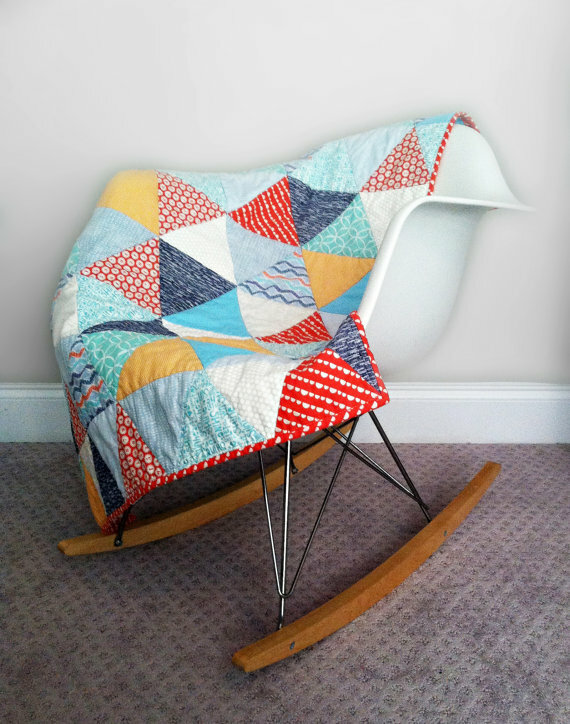 And this mod triangle baby boy quilt, found here.